Even though I won’t be attending this year, I wanted you all to know about a really great quilt exhibit taking place at Black Creek Pioneer Village just north of Toronto from August 16-17, 2014. 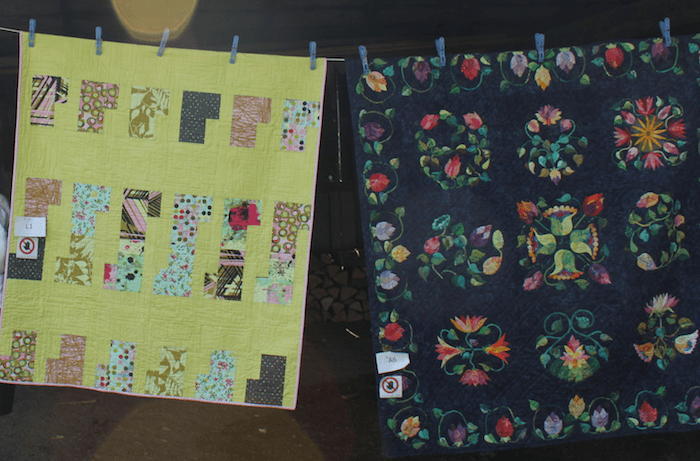 Quilts at the Creek is in its 3rd year. The village is a beautiful venue for exhibiting quilts. The quilts are hung outside by a tireless group of volunteers. There are workshops, trunk shows, quilt appraisals, vendors and quilts, quilts and quilts in a beautiful, pastoral setting. Spend some time outside enjoying the show.